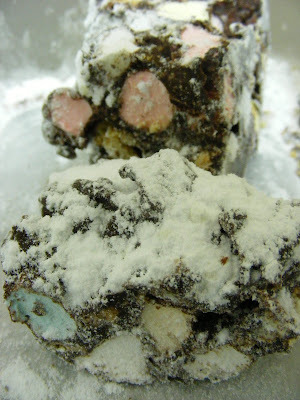 A Scot in Taiwan: Rocky Road Yumminess! Today I had an overwhelming craving for Rocky Road. I really miss the little bars you can buy in the Freuchie shop (not the kind from the bakery counter), so I looked up the recipe and made some. It was so easy, and sugary yumminess.